Chicago Police Task Force Report Calls For Oversight Reform, Admission Of Racism : The Two-Way A report commissioned by Mayor Rahm Emanuel blames racial bias and a "code of silence" for the city's "broken" police system. Interim Chicago Police Superintendent Eddie Johnson, a 27-year veteran of the force, is Mayor Rahm Emanuel's choice for permanent head of the department. Emanuel rejected three finalists identified after a national search. A Chicago Police accountability task force is releasing a report Wednesday recommending sweeping changes to what it says is a "broken" system. A draft of the report has already been delivered to Mayor Rahm Emanuel, who created the task force and fired police Superintendent Garry McCarthy following the release of a video showing a white police officer shooting black teenager Laquan McDonald 16 times. The Chicago Tribune describes the tone of the draft as "scathing" and says it recommends that the department "acknowledge its racist history and overhaul its handling of excessive force allegations." "That could include doing away with the Independent Police Review Authority, which investigates police shootings and allegations of excessive force. Critics say it's biased in favor of police and turns the code of silence into official policy." The report calls for the IRPA to be replaced by a "fully transparent and accountable" civilian agency. The draft also suggests creating the post of deputy chief of diversity and inclusion. 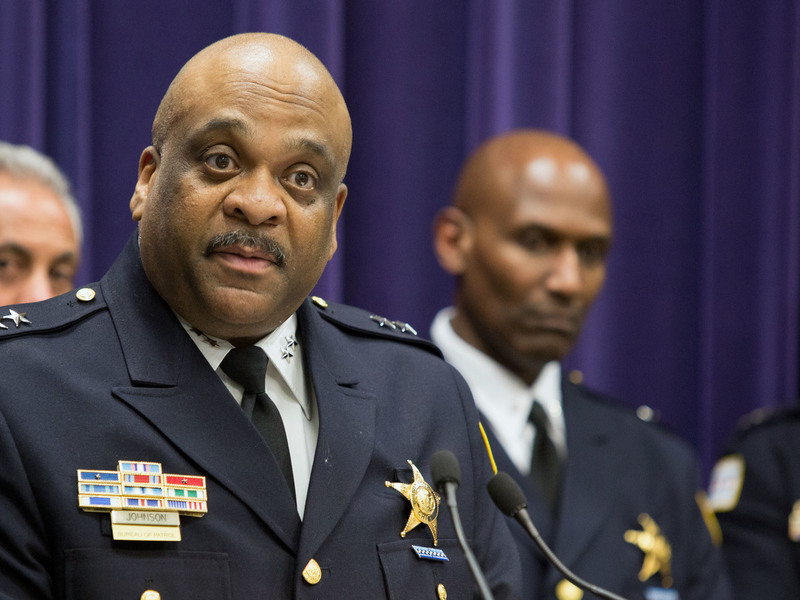 On Tuesday, the Chicago City Council approved Emanuel's request to appoint interim police superintendent Eddie Johnson as the new police superintendent. A national search had presented Emanuel with three candidates for the job, all of whom he rejected. Tuesday's vote by the council allows Johnson's appointment without a second hiring search. When appointing Johnson to serve as interim superintendent last month, Emanuel said of the 27-year veteran of the force: "He's well respected within the department and among all the rank-and-file officers that I have spoken with. He will have their backs when they do their job well and he will hold them accountable when they do not." The City Council will take a final vote on Johnson's appointment today. "We don't have time to play," said Alderman Walter Burnett Jr. during Tuesday's meeting. "People are dying in our wards."